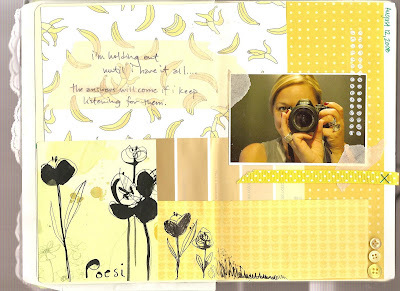 moments of perfect clarity: art journal fun! for this one, we were asked to think about the season and how it feels right now. great way to be very conscious about where i am--physically and mentally--in the moment. all these pages are folded because i'm doing them in my moleskine journal. #2 was to be a reaction to our first page. since i was still in a very summery place, i used yellow. i love how this one turned out. #3 was to start with the word "sometimes." it was supposed to have a blurry image and an image (or in my case, imageS) of comfort. sabin was home sick yesterday after coming down with a fever on tuesday evening and she wanted to play along with me and do a page as well. although she's not journaling (being that she's 7), i love how hers turned out! it was a great thing to do together and it feels good to finally use some of the stash. if you want to see more of what everyone is inspired to do, have a look at the flickr group for the course. 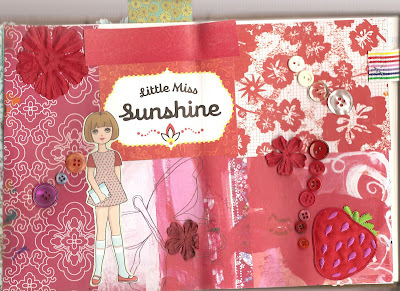 rachel will be offering another online art journal course soon. in fact, this one is still listed on her etsy site, so you can still get in and catch up. i can highly recommend it. This is all cool, but I have to say WHAT A RING! GIRL!!! I am amazed & impressed at your finger strength just to hold that baby up! 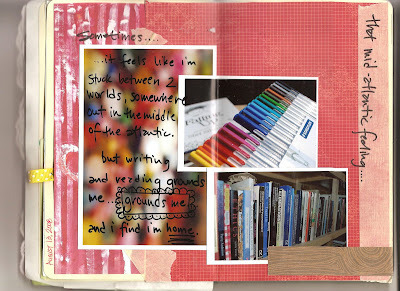 I adore that page with the colored pens and the books! So vibrant and creative! And now I have to check out your ring because I certainly missed that part of the post. Tell Sabin I hope she is feeling better. Tell her that we think her page is the best one of all! i actually had to look again too to see the ring. :-) the thick silver one is pretty heavy and it's actually currently behind my washing machine because it flew off and landed there the other day. that reminds me that i should try to dangle sabin down behind there to get it with her skinny little arm. on the other hand, the big round one is a meditation ring that i bought on etsy. the tangly silver one was made by the same local jeweler that made the heavy one that's behind the washer. she does some way cool stuff. and husband knows to go there and get my gifts. i guess i need a new one now if i can't retrieve that one from behind the washer. Wow. 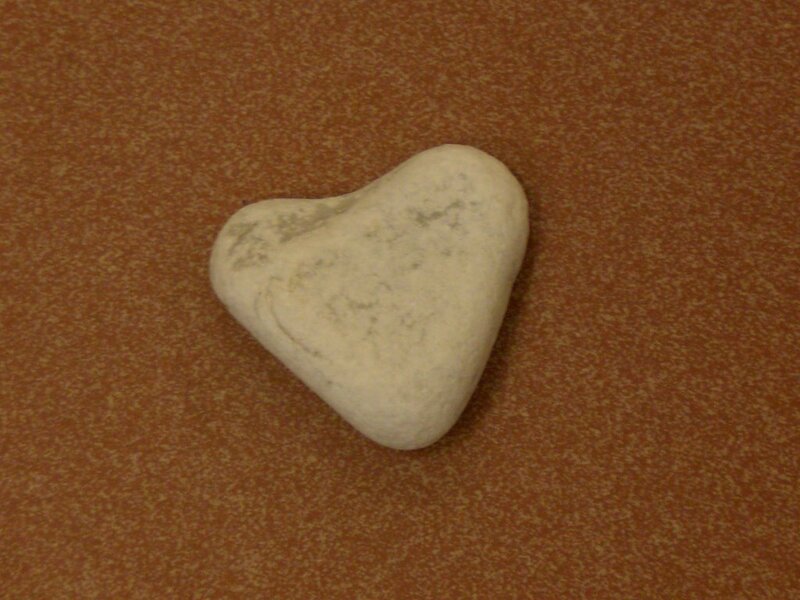 You should be careful about flinging jewelry around the house. You could put someone's eye out. I would tell my family that it's a sign that I would not be able to do laundry anymore. I don't know why I am so silly today. Please excuse me. They all seem filled with light. Wow, these pages a really something. 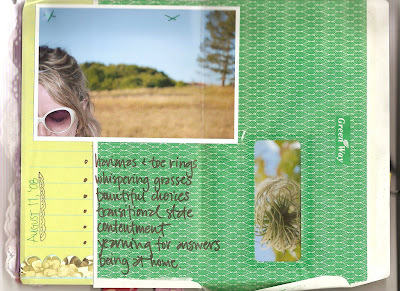 I've always wanted to keep a journal like that, with pictures and color and such. But I felt like I was never quite crafty enough.